Available today, the always-on-point Hip-O Select imprint have released a two disc compilation of Diana Ross and The Supremes rarities entitled Let The Music Play: Supreme Rarities 1960-1969. Comprised of alternate mixes, scratch vocal tracks, and a number of (then) contemporary covers (Rolling Stones, Stevie Wonder, Tom Jones, et. 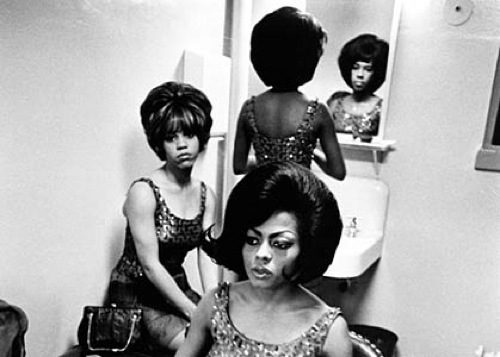 al) the set showcases a different side of the Motown divas, and brother were they good. Below: The Supremes knock out Stevie Wonder’s “Uptight (Everything’s Alright)” – great stuff, but don’t miss the collected radio spots artifact casually tacked on the end of disc II. If you like Motown Lost & Found, definitely check out the Complete Motown Singles sets. I’d start with vols 4-6: 1964, 1965, and 1966 (6 CDs each). They’re expensive but the packaging is amazing and there are so many great little tracks on there. i have all of those, and you are right, they are essential.